Hard to find off the US’s west coast. Photo by aftab on Flickr. The tool can be found at https://noransom.kaspersky.com. The application uses decryption keys found by the Dutch police as part of an investigation. Ransomware like CoinVault encrypts data on a disk or blocks access to a computer system. It is usually installed by exploiting a vulnerability on victims’ computers via phishing emails or links to malicious websites. Unlike other ransomware, CoinVault lets victims see a list of the files it encrypted and decrypt one for free to try to get people to pay up. The National High Tech Crime Unit (NHTCU) of the Dutch police recently obtained a database from a CoinVault command-and-control server containing decryption keys, the Dutch police said in a news release. The information obtained from that database allowed Kaspersky to build a decryption tool. Not all of the keys, but a useful start. The camera of the One M9 is also a weak point, despite significant changes on HTC’s part in this area. Unfortunately, the post-processing here is just not acceptable, and the results of the camera are equally unacceptable. Poor battery life, poor camera. HTC’s got problems – if people listen to reviews. 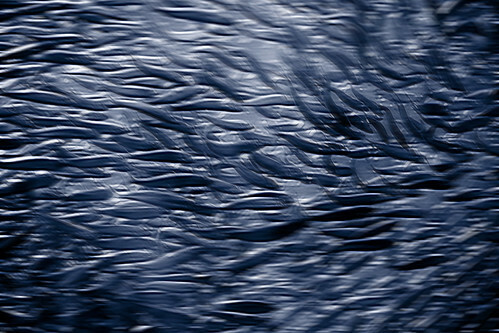 The Pacific Fishery Management Council agreed to close the fishery from Mexico to the Canadian border starting July 1, when the 2015 season begins, after federal scientists documented a 91% decline in sardine numbers along the West Coast since 2007. Water shortages, sardine population collapse. What’s next for California? When will people notice what’s happening? Think about how much ink has been spilled over Amazon vs. Hachette, TimeWarner vs CBS, Verizon vs. net neutrality, Google vs. Yelp. Here we have a gatekeeper, which also has lock-in, and it has found the only reasons to close the gates that could be worse than profit: paternalism and complacency. Many of us are afraid of retribution for speaking out too loudly. Apple has, unbelievably, made a threat explicitly in writing: “If your App is rejected, we have a Review Board that you can appeal to. If you run to the press and trash us, it never helps.” If Apple made good on its promise to penalize developers who complain in public, who would we appeal to? Apple’s process makes sense for Apple, but less for developers. Users do get hurt by slower updates, certainly. But Apple is paranoid about apps being updated to malicious or other “embarrassing” forms, and apparently doesn’t have Google’s virus checking-in-the-cloud capability (though it does have a kill switch). The paranoia has now become routine. But Apple does listen to complaints that reach the press. It should probably update that part of its guidelines. Margrethe Vestager, the EU’s competition commissioner, is to say that the US group will soon be served with a formal charge sheet alleging that it breached antitrust rules by diverting traffic from rivals to favour its own services, according to two people familiar with the case. Serving Google with a so-called statement of objections will be the opening salvo in one of the defining antitrust cases of the internet era. It could prove as epic as the decade-long battle with Microsoft that ultimately cost the company €2bn in fines. The commission’s move comes after a torrid five-year investigation that Google came close to settling without charges last year. The draft deal collapsed after fierce objections were raised by ministers in France and Germany, and by some of the continent’s most powerful telecoms and media groups. Told you. Recap: Why Google’s struggles with the EC – and FTC – matter. Kedrosky asks smart questions, which yields surprising answers. Apple has purchased Israeli camera technology company LinX Imaging for approximately $20m, reports The Wall Street Journal. LinX specializes in creating multi-aperture camera equipment for mobile devices and it’s possible that Apple will use the company’s technology in upcoming iOS devices. Last year, LinX announced the launch of miniature multi-aperture cameras half the height of standard mobile cameras with the ability to create “stunning color images and high accuracy depth maps” for SLR image quality without the bulk of an SLR camera. The image quality of mobile cameras has reached a dead end. Device makers are striving to differentiate using imaging capabilities but the pixel size race has ended and next generation cameras do not reveal any dramatic improvements. LinX cameras revolutionize mobile photography and broaden the usability span and user experience, allowing us to leave our SLRs at home. LinX’s technology uses software to extract depth information for each pixel to create a depth map for that can also be used for 3D image reconstruction. LinX’s website is now defunct, but the company offered products with two, three, and four camera arrays in multiple configurations and sizes. Its most recent technology was downscaled enough to be ready for use in mobile devices. I linked to this writeup rather than the WSJ’s because of the background MacRumors found. Face recognition? 3D reconstruction? Lots of possibilities in this one. The Authentec fingerprint reader was incorporated within 18 months of purchasing that company – but quite possibly Apple is already working on incorporating these cameras into its products. I’d expect them in products in 2016.